About one third of cancer patients die because of cachexia – an involuntary weight loss, characterized primarily by muscle wasting and metabolic changes, which cannot be addressed or treated solely with increased food intake. A study by researchers at the MUHC aims to save patient lives by giving doctors a practical tool to easily diagnose cachexia before it becomes irreversible. Cachexia is a serious health condition that goes beyond simple weight loss. Clinicians and scientists have been trying to better understand and treat this condition for many years. It is often associated with poor responses to oncological treatments, increased hospitalizations, and has been shown to be a major burden to family caregivers. It is still largely overlooked and untreated in many oncology centres. Patients with this condition eventually experience a decline of their overall health to a point where it cannot be reversed by eating more or taking nutritional supplements. Despite recent advancements in research, cachexia remains very difficult to alleviate or treat. The tool developed to diagnose cachexia is composed of five routinely available clinical measures and laboratory tests, which could be available to doctors within the next few years or sooner. The researchers also hope the tool can be applied to other patients who are losing weight from chronic diseases, such as acquired immunodeficiency syndrome (AIDS), chronic obstructive pulmonary disease, multiple sclerosis, chronic heart failure, tuberculosis and many more. 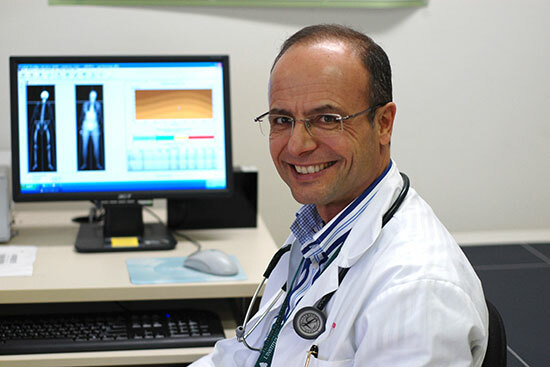 Dr. Vigano’s team at the McGill Nutrition and Performance Laboratory (MNUPAL) is also participating in studies aiming at developing treatments for cachexia. However, he insists, these treatments will only be useful if doctors can diagnose cachexia and understand the severity of each case. “Research is still needed to understand all the causes of cachexia. Unless we can talk the same language in terms of what type of patients we are treating and the severity of their condition, it is often very difficult to make substantial progress,” he states.